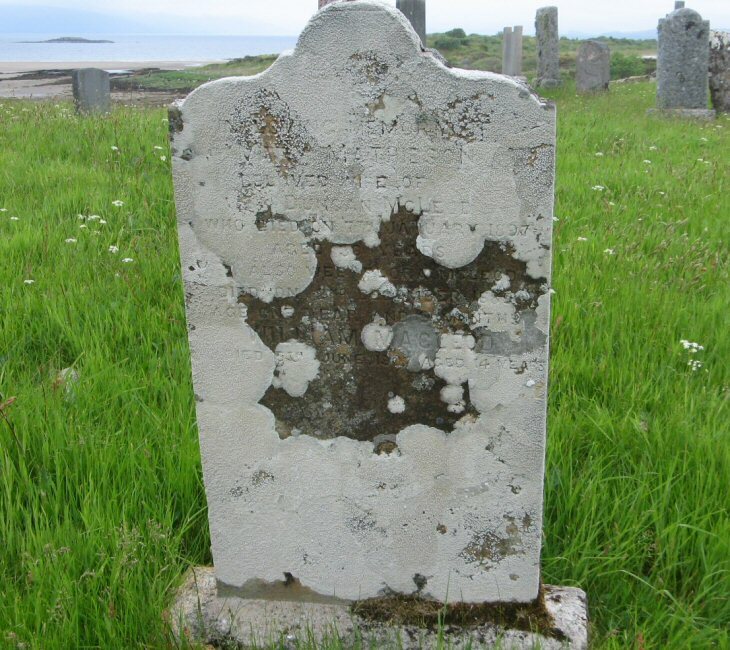 Skye Gravestones | Mary (Mathieson) McLeod, d. Flora, William. Mary (Mathieson) McLeod, d. Flora, William. In loving memory of/MARY MATHIESON/beloved wife of DUNCAN McLEOD/who died on 7th January 1897/aged 36 years/also wee FLORA McLEOD/died on 2nd December 1889/age one year and 9 months/WILLIAM MACLEOD/5th June 1907 aged 14 years.